Find the perfect off road driving experience. Head to the hills and prepare for mud, water and all kinds of challenging terrarin in the King of he 4x4 world, the Land Rover Defender. Learn a whole new set of off road driving skills as you take on inclines, slopes and torn up tracks, but not before you plan your 4x4 excursion. 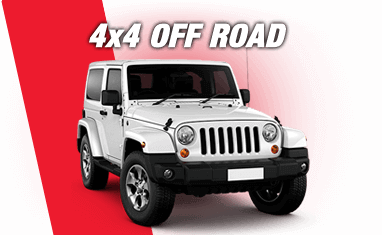 What is a 4x4 Off Road Driving experience? Having driven the supercars, the classic cars and the best muscle cars America has to offer. What’s next? 4x4 off road driving, of course. So forget the racetrack, it’s time to take things to the next level on some of the most challenging terrain you’ll ever drive on. Head into the countryside with our 4X4 off road driving experiences, prepare for mud, water and a variety of landscapes on these fantastic off road excursions. You can get behind the wheel of some of the most capable vehicles on the roads today including the renowned Land Rover Defender and Discovery as well as the luxurious Mercedes-Benz GLE. In all our off road experiences you will be tasked with negotiating steep and slippery inclines and declines, deep ruts, mud holes, gullies and water crossings. Safety is of paramount importance during your experience so no matter your experience behind the wheel you will be in safe hands. Whether you’re an off road novice or a rally driving expert you will receive expert tuition throughout the experience so you will get all the tips and tricks during your time in the car. In our Mad Max Truck Driving Blast you will speed across varying terrains in our extreme Land Rover Defender. The course was specially designed to train the military in becoming skilled, advanced off road drivers when duty calls. You will have to have nerves of steel to tackle the steep hills, rough ground and water crossings during the experience. Trackdays.co.uk also offers a Mercedes-Benz 4X4 Corporate Driving experience, perfect for team building activities. During the experience, you will drive the luxurious Mercedes-Benz GLE 4X4 across a variety of terrains on the 10-acre course pushing the vehicle to the limits of its capability. Once you've found your perfect off road experience, there are a number of options available to you. 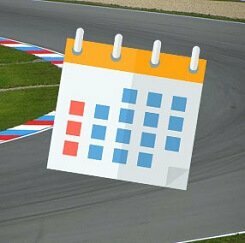 You can either book directly onto an available date. Or you can purchase a 10-month open voucher and redeem it when it suits you, this option is particularly good for birthdays and Christmas and has the additional option of a gift pack, making it extra special.